How to draw a pastel cloud in stages? 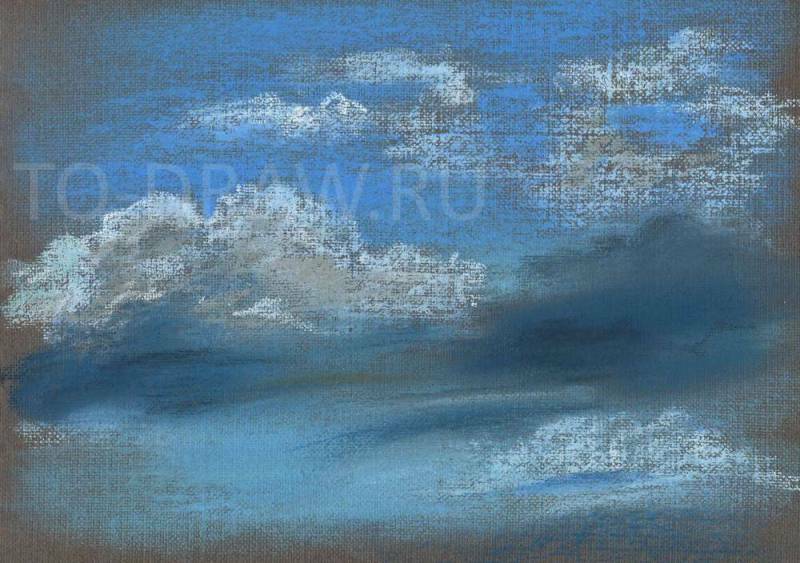 How to draw clouds with pastels? Theme sketches of nature are inexhaustible. 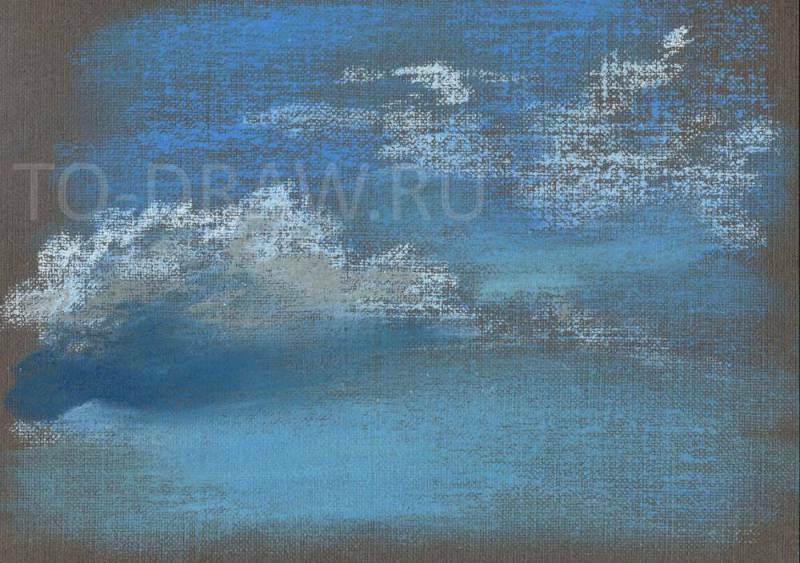 Today we will do a quick drawing of clouds. But besides that we will draw will test the compatibility of pastels and paper and check their quality. Drawing will take crayons, pastel pencils (me today they don't need, but suddenly you will need, paper. 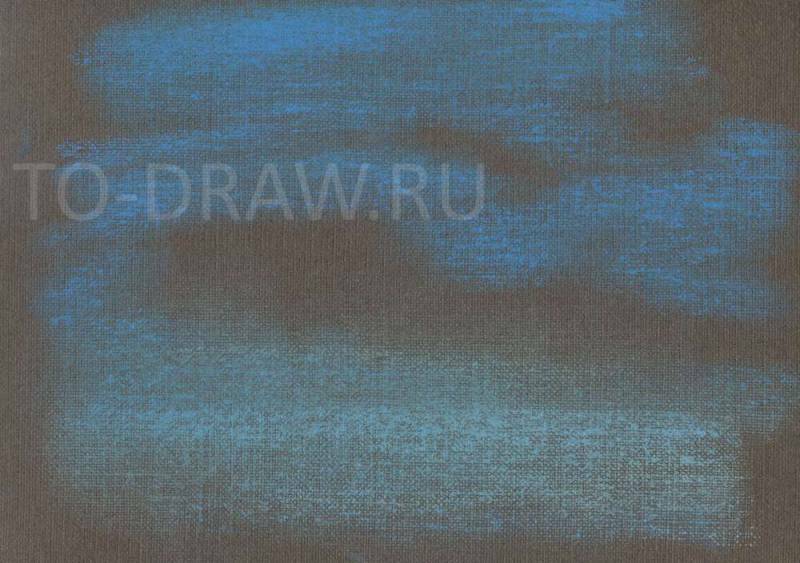 I took a notebook with grey paper with cotton content and pastels production St. Petersburg Aqua color soft, that is soft. I'm going to test this pastel - see how she is, shade, paper covers, how many layers can withstand. 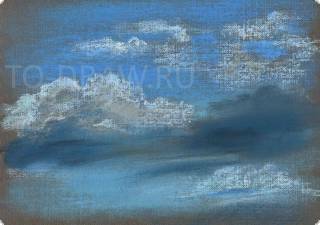 For clouds, we need blue and blue crayons of different shades, grey and white. Then add white. I add locally defined spots and therefore do not grind. 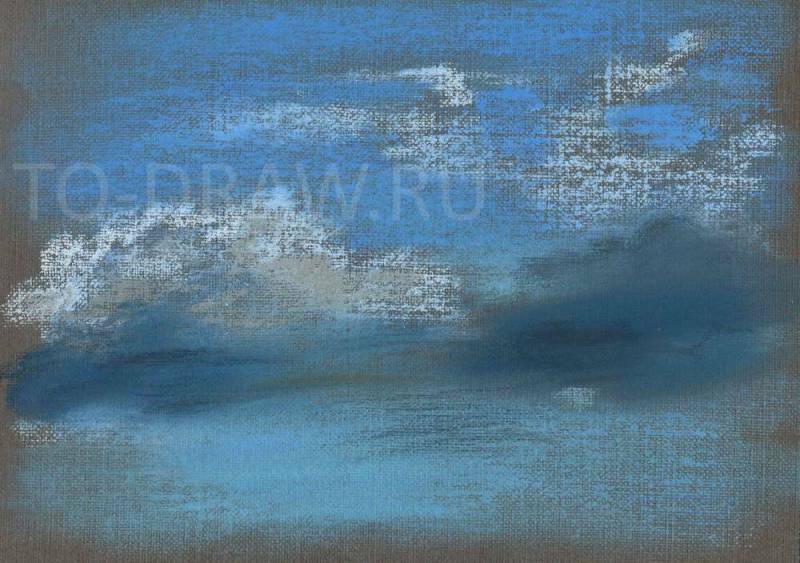 Further, in a lower layer clouds add grey below - the deep blue. Slightly retusum grey and stronger blue color. Please pay attention that dark blue to go better than blue and white, turns smooth velvety spot. Unusu dark blue struck white with blue and retusum single layer - here it turns out well. Slightly crowstep sharp transition from blue to blue. Added to the clouds of dark blue and grey. Right also will form the storm Abaco out to take a deep blue hues. Please note that we do not stain uniformly blue, and with soft transitions in light or dark tint. Sometimes the clouds need a good shade, and sometimes quite a bit, not to lose shape. Well to work add a little more light spots at the bottom and grey on top. So our figure is ready! 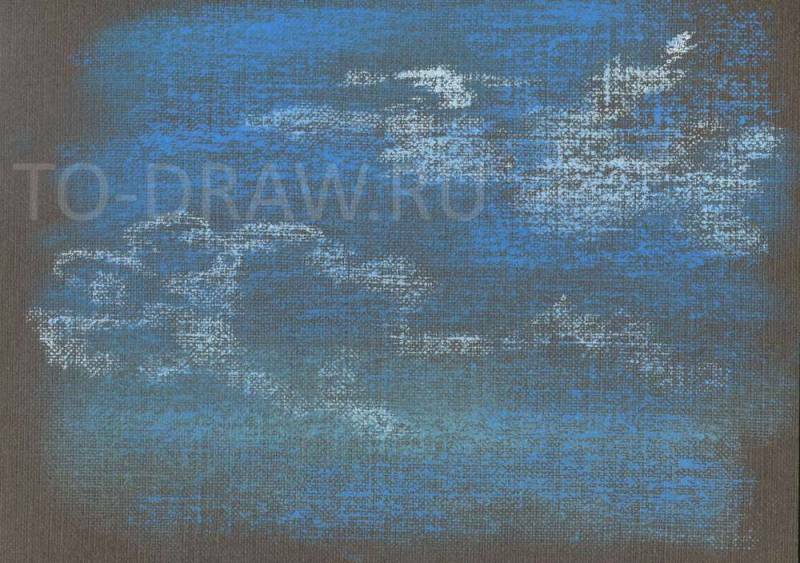 Summing up, I note that this pastel is not very good quality. Some colors are very poorly put on paper, sipas from it and others never applied, and scratch paper and almost no draw. Difficult to recruit dense layer and, accordingly, it is difficult to superimpose multiple layers on each other.